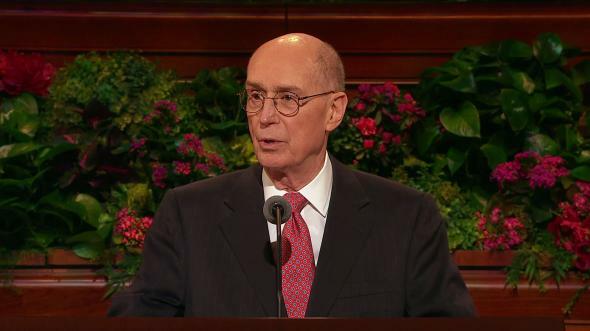 Even though they are vested with different missions and authority, the Aaronic Priesthood and the Melchizedek Priesthood are inseparable partners in the work of salvation. 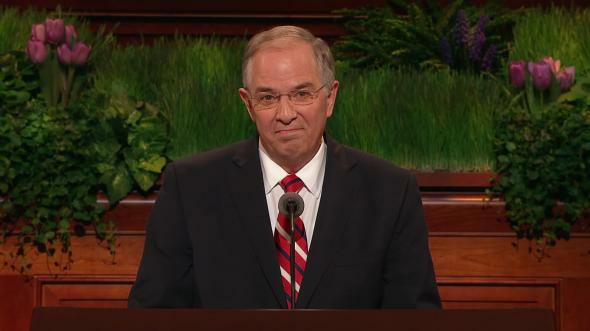 “Of course,” I answered, “between the ages of 14 and 18, and I studied seminary lessons nearly every day!” He almost fell off his chair. He was right about what I had learned in the Church. 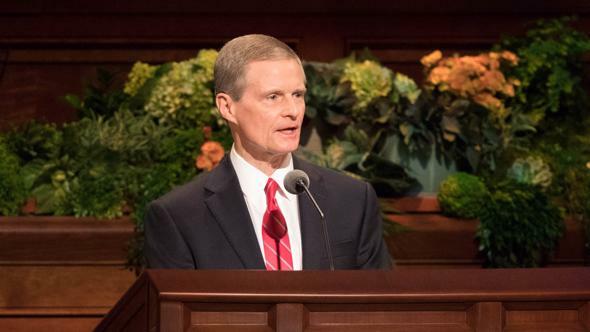 The years that followed were challenging, and I don’t know if I could have had any success without the experience I acquired by serving in the Church from the time I was a young man. I had the blessing of growing up in a small branch. Because our numbers were few, the youth were called upon to actively participate in all aspects of the branch. I was very busy and loved feeling useful. On Sundays I officiated at the sacrament table, served in my priesthood quorum, and functioned in various other callings. 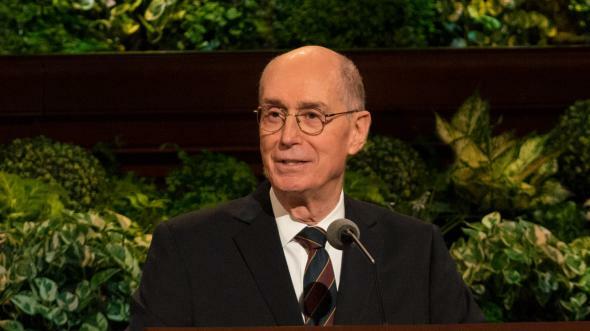 During the week I often accompanied my father and other adult priesthood holders as we home taught members, comforted the sick and afflicted, and helped those in need. 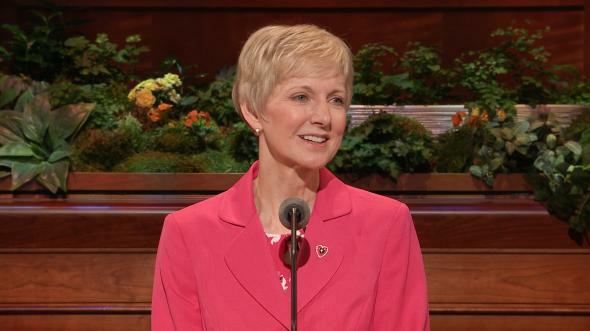 No one seemed to think I was too young to serve or even to lead. For me, it all seemed normal and natural. 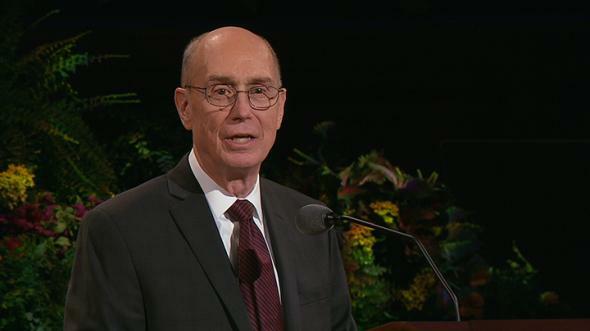 The service I rendered during those teenage years helped me build my testimony and anchor my life in the gospel. I was surrounded by good and compassionate men who were committed to using their priesthood to bless the lives of others. I wanted to be like them. In serving with them, much more than I realized at the time, I learned to be a leader in the Church and also in the world. 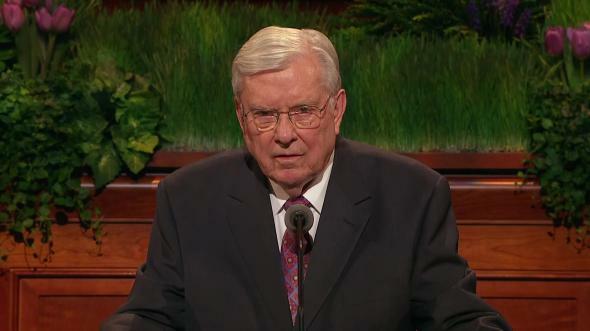 We have many young men attending or tuning in to this meeting tonight who hold the Aaronic Priesthood. As I look out at this audience, I see many of you sitting next to mature men, perhaps your fathers, your grandfathers, your older brothers, or your priesthood leaders—all holders of the Melchizedek Priesthood. They love you, and in large part, they came here tonight to be with you. This gathering of generations offers a marvelous vision of the unity and brotherhood that exist between the two priesthoods of God. 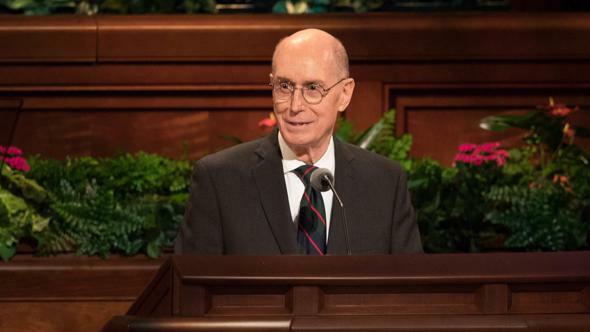 Even though they are vested with different missions and authority, the Aaronic Priesthood and the Melchizedek Priesthood are inseparable partners in the work of salvation. They go hand in hand and have great need of each other. The perfect model of the close relationship that exists between the two priesthoods is found in the interaction between Jesus and John the Baptist. Can one possibly imagine John the Baptist without Jesus? 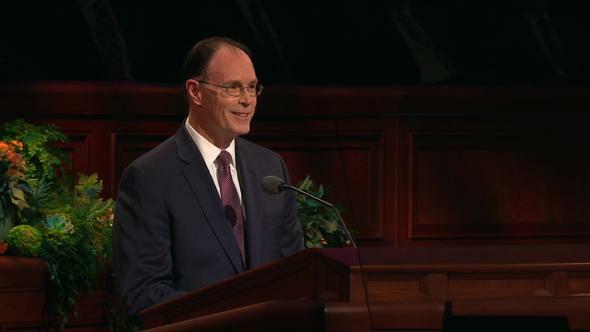 What would the Savior’s mission have been like without the preparatory work performed by John? John the Baptist was given one of the most noble missions to ever exist: “to prepare the way of the Lord,”1 to baptize Him with water, and to make ready a people to receive Him. This “just … and … holy [man],”2 who had been ordained to the lesser priesthood, was perfectly aware of both the importance and the limits of his mission and his authority. Just think of what would take place in our priesthood quorums if the relationships between the holders of the two priesthoods were inspired by the pattern established by Jesus and John the Baptist. 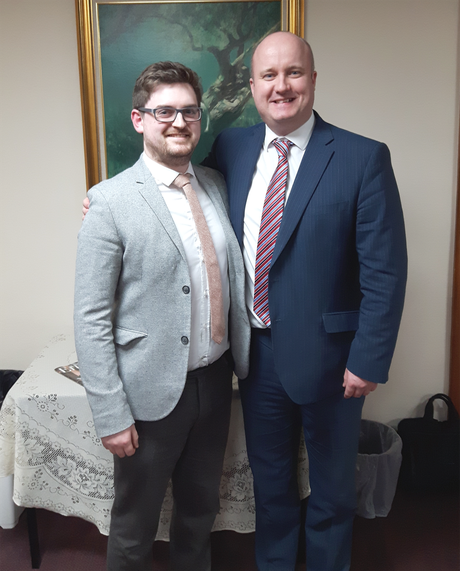 My young brethren of the Aaronic Priesthood, like John’s, your role is to “prepare the way”5 for the great work of the Melchizedek Priesthood. You are doing this in many different ways. You administer the ordinances of baptism and of the sacrament. 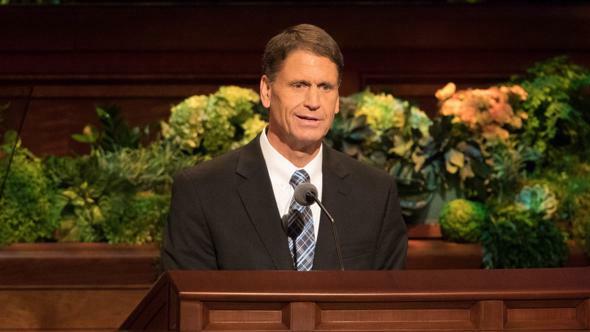 You help prepare a people for the Lord by preaching the gospel, by “[visiting] the house of each member,”6 and by “[watching] over the church.”7 You provide assistance to the poor and needy by collecting fast offerings, and you participate in taking care of Church meetinghouses and other temporal resources. Your role is important, needful, and sacred. As you invite your younger brothers to “prepare the way,” you help them recognize and honor the sacred authority they hold. By doing so, you help them prepare their own way as they prepare for the day that they receive and exercise the higher priesthood. My dear bishops, you have, included in your ordination and setting apart as bishop of your ward, the sacred calling to serve as president of the Aaronic Priesthood and of the priests quorum. I am aware of the heavy burdens you carry, but you should make your duty toward these young men one of your highest priorities. You cannot neglect it or delegate your role in this responsibility to others. 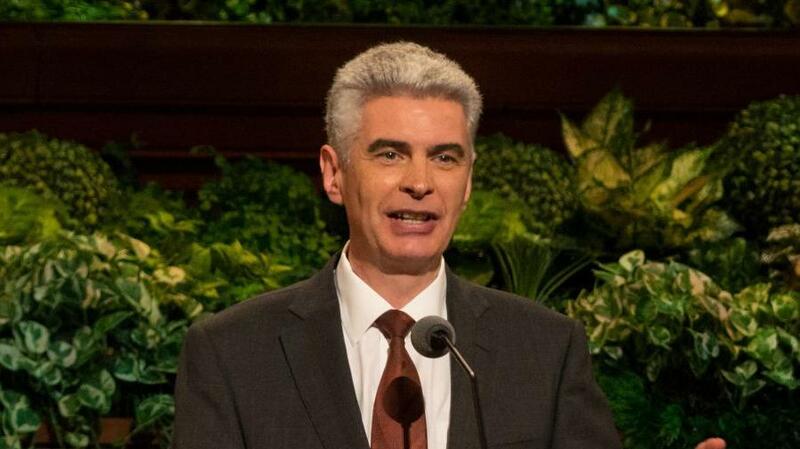 I invite you to reflect upon each of the young Aaronic Priesthood holders in your ward. Not one of them should ever feel left out or useless. 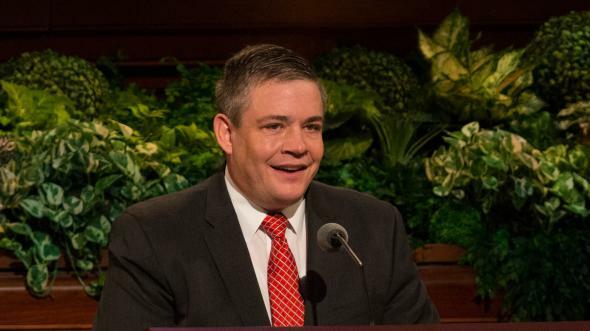 Is there a young man whom you and other priesthood brethren could help? Invite him to serve alongside you. Too often we try to entertain our young men and relegate them to a spectator role, when their faith and love for the gospel can be best developed by magnifying their priesthood. By actively participating in the work of salvation, they will be connected with heaven and they will gain awareness of their divine potential. 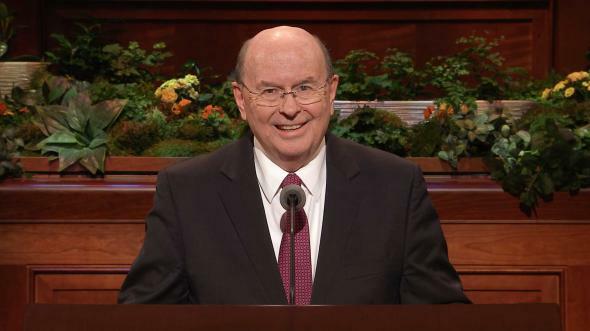 The Aaronic Priesthood is more than just an age group, a teaching or activity program, or even a term to designate the young men of the Church. 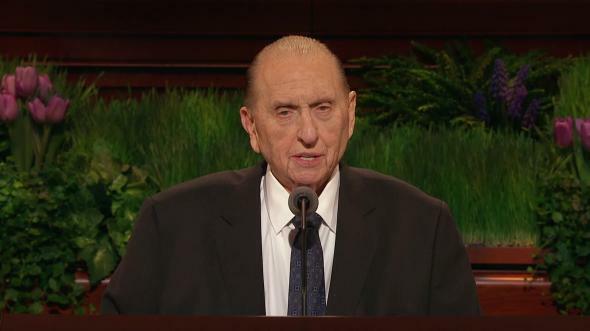 It is power and authority to participate in the great work of saving souls—both the souls of those young men who hold it and the souls of those they serve. 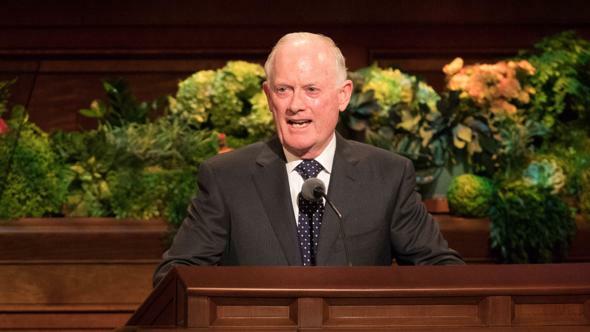 Let us put the Aaronic Priesthood in its rightful place, a choice place—a place of service, preparation, and accomplishment for all the young men of the Church. My dear brethren of the Melchizedek Priesthood, I invite you to strengthen the essential link that unites the two priesthoods of God. Empower your Aaronic Priesthood youth to prepare the way before you. 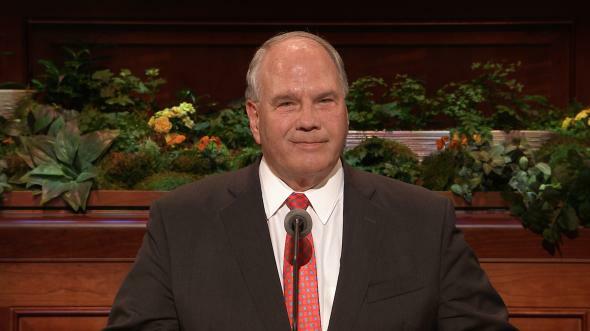 Tell them with confidence, “I need you.” To you young holders of the Aaronic Priesthood, I pray that, as you serve with your older brethren, you will hear the voice of the Lord telling you: “Thou art blessed, for thou shalt do great things. Behold thou wast sent forth, even as John, to prepare the way before me.”10 In the name of Jesus Christ, amen.